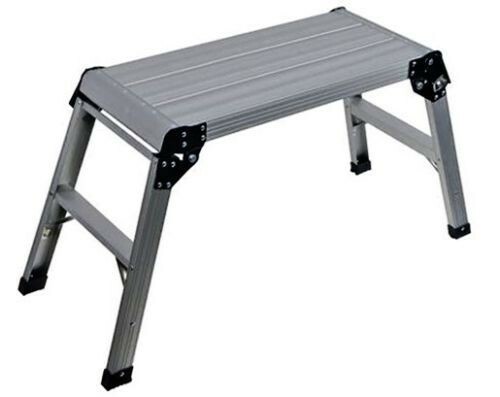 Brand New Heavy Duty Step Up Stool Ladder Platform Strong, lightweight aluminium platform with anti-slip feet. Legs secured by 2 sprung catches. 150kg capacity. Certified to BS2037. Dimensions (L x W x H): 600 x 300 x 500mm.